1 Corinthians 14:32-33 - And the spirits of the prophets are subject to the prophets. For God is not the author of confusion but of peace, as in all the churches of the saints. "When the plain sense of Scripture makes common sense, seek no other sense; therefore, take every word at its primary, ordinary, usual, literal meaning unless the facts of the immediate context , studied in the light of related passages and axiomatic and fundamental truths, indicate clearly otherwise." In other words, God means what He says and says what He means. History shows that fulfilled prophecy, thus far, occurred literally. Therefore, there is no reason to take future prophecy other than in the literal sense unless the context shows that it is figurative. The main goal of this commentary on the book of Revelation is to show that the Bible does indeed interpret itself. In almost every case, Scripture will interpret Scripture when using a "word-for-word" translation (KJV, NKJ or NASB), instead of a "meaning-for-meaning" translation (NIV). Using a "word-for-word" translation also helps to minimize interpretative biases made by the translators. The format of this commentary is a word and phrase study. Each section includes passages elsewhere within the Word that interpret the passage in the study. I used Biblegateway and E-Sword to do word searches, and an online interlinear Bible and concordance that aid in understanding of the original language. For your convenience and further study of context, I link each verse found in the commentary to the full chapter on Biblegateway or to my commentary in another study. 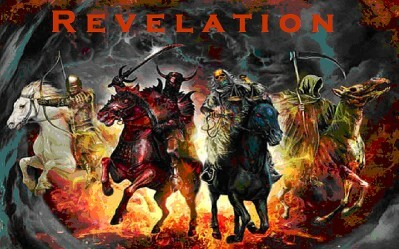 One last item to note is the chronology of Revelation. I believe that the most straightforward view is that Revelation is a chronological book, except for some clear interludes. An interlude is a parenthesis in the main dialogue, where we are given more information or a different perspective to the main storyline. In other words, an interlude is a background story to the narrative, with clear indications that each interlude reaches back or forward in time, and generally returns to where the primary narrative left off. 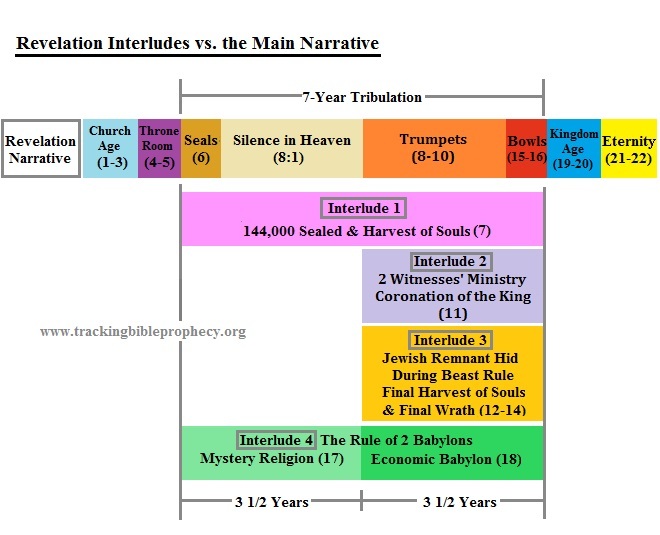 I am in the process of putting together a study guide to help summarize the material in each section to one or two sentences: Click to see the "Revelation Study Guide."